Road surfaces and runways are subject to extreme loads, from increasing volumes of traffic, heavy goods vehicles and aircraft. To stay within strict budgets and reopen the area to traffic as soon as possible, repairs need to be carried out simply and quickly, whatever the weather conditions. To meet these ever-more challenging requirements, a rapid-hardening product that can bear traffic load soon after application is essential. To repair asphalt surfaces, a joint needs to be created between the old and new asphalt. 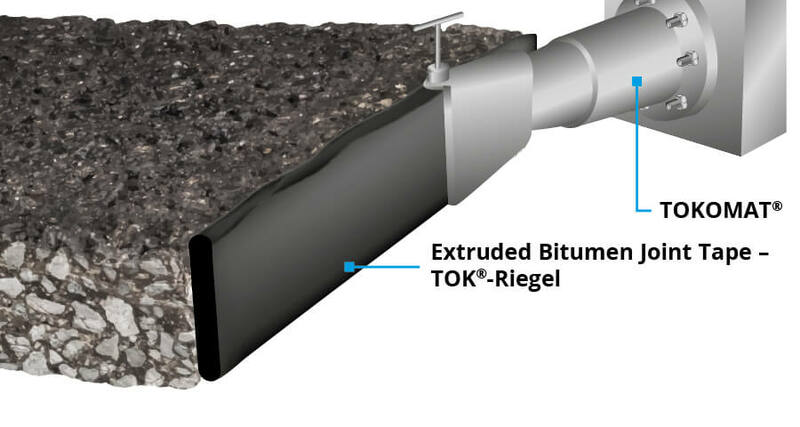 Our TOK® bitumen joint tapes are the perfect solution. All TOK®-Bands possess exceptional stretching and adhesion characteristics and can be applied cold (self-adhesive) or using a burner. TOK®-Dur repairs and evens out small cracks and irregularities. For repairs on larger asphalt surfaces or entire sections of road (e.g. 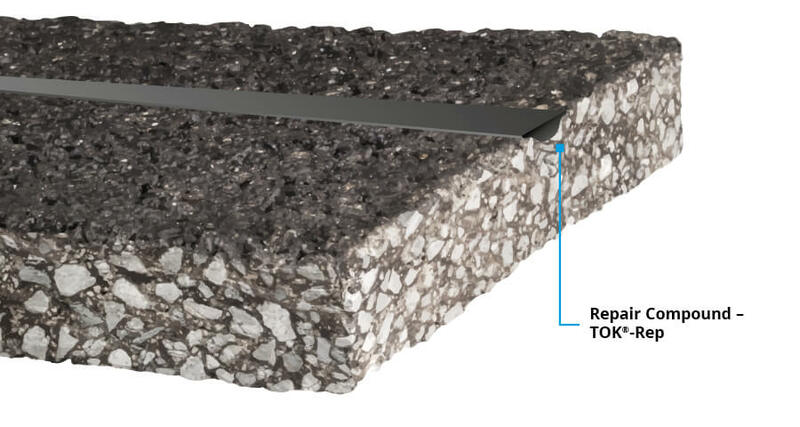 on motorways or national A-roads), joints can be rapidly and reliably finished using TOKOMAT®. The machine-extruded bitumen joint tape creates a joint appropriate for the profile and height even on unprocessed or poorly processed surfaces. With an application rate of around 15 m per minute, TOKOMAT® is an exceptionally fast solution – and the new asphalt can be added immediately. 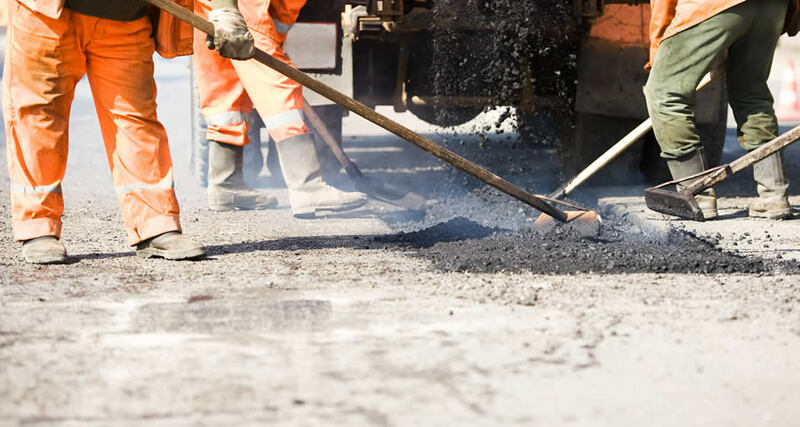 Cracks in asphalt must be repaired immediately: Otherwise, there is a risk of moisture penetrating the road surface, which will cause further, more serious damage. 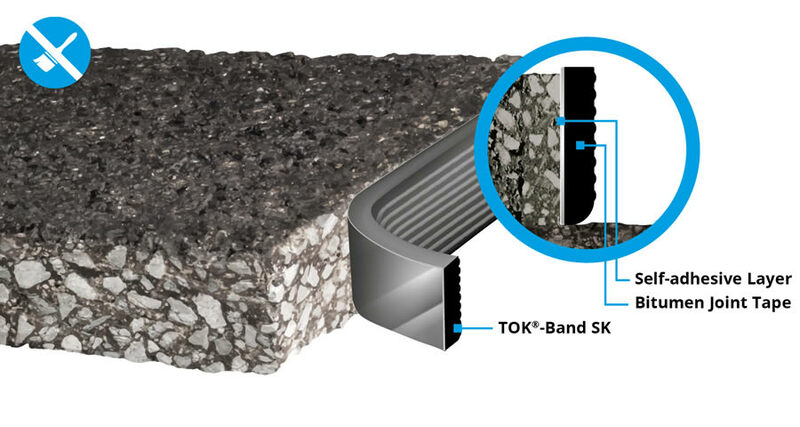 Our self-adhesive, cold-processed TOK®-SK Rissband can be used to repair cracks quickly and permanently. Open-porous asphalt surfaces reduce traffic noise and minimise the risk of aquaplaning. If cracks or damage appear on the asphalt surface, these must be repaired immediately to prevent further, more serious damage. 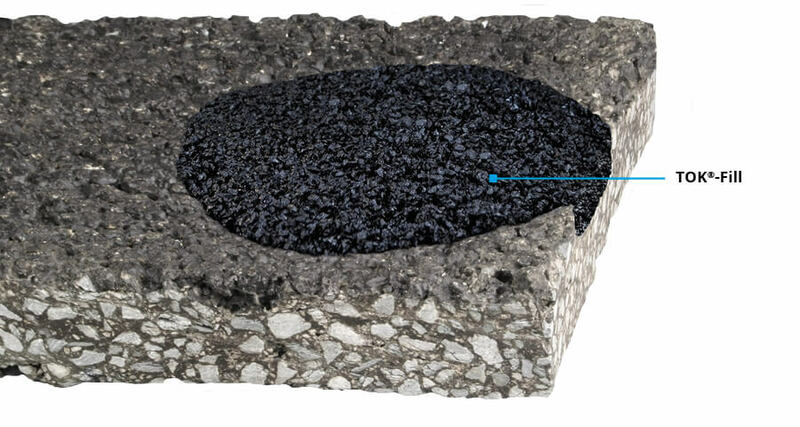 The innovative, cold-processed repair compound TOK®-Rep was developed specifically for open-porous asphalt and hardens rapidly. This means that the road can be reopened to traffic soon after the repair is completed. When carrying out repairs to concrete surfaces such as runways or roads in heavily loaded industrial areas, it is crucial that the surfaces are reopened to traffic as soon as possible after the repair. 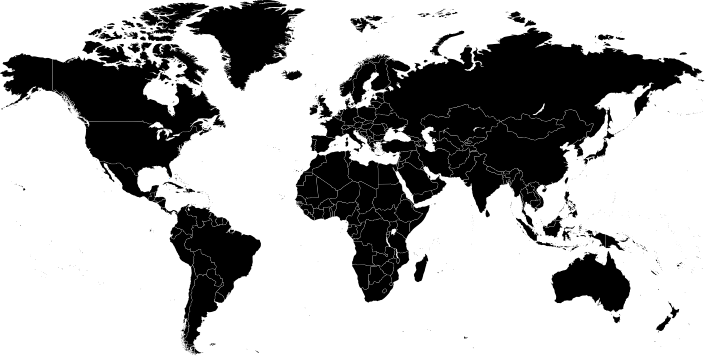 Our repair mortar TOK®-Crete 45 V2.0 reaches its fully hardened state soon after application, and is an all-weather product that can be applied at temperatures of -10°C to +30°C or +14°F to +86°F. The repaired surface can be reopened to traffic just 45 minutes after repair! 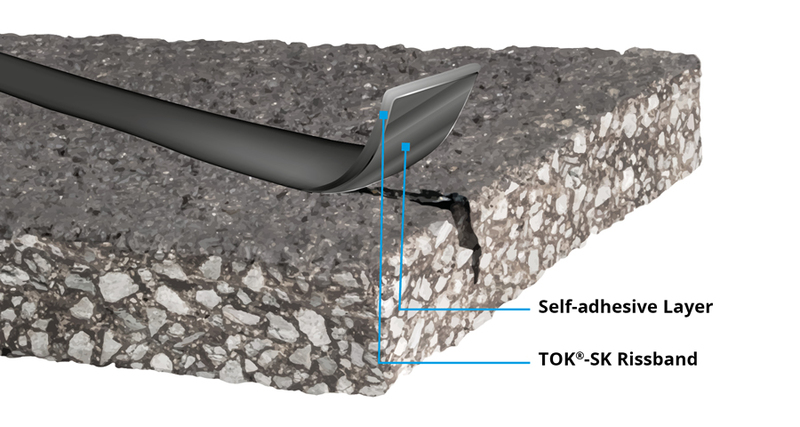 The cold repair asphalt TOK®-Fill enables you to successfully repair potholes quickly and reliably. As an all-weather product, TOK®-Fill can be used at temperatures of -10°C to +45°C or +14°F to +113°F, even on wet surfaces. Immediately after application, the surface can be reopened to traffic.